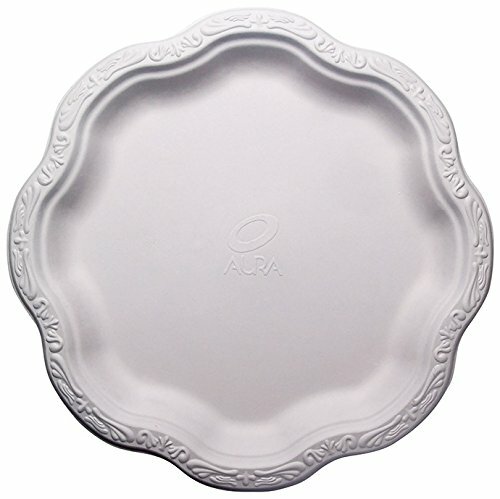 BONE CHINA INSPIRED PREMIUM QUALITY; Luxurious, heavy duty heavyweight, Strong and durable sturdy white plates are inspired by precious bone china and provides a guilt-free convenient disposable solution that could be just as classy and elegant. Perfect for a wedding, small party, a fancy lunch and dinner, Christmas parties or any other special occasions! From a appetizer, to salad, to entree and dessert. Perfect decorative match for those silverware and good china porcelain tea cups! If you have any questions about this product by AURA eco-packaging, contact us by completing and submitting the form below. If you are looking for a specif part number, please include it with your message.